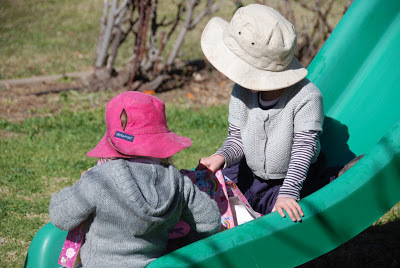 When I was on full-time maternity leave I could go a week or two without leaving the farm, without seeing friends or having any social outings. One week I could cope with, more than that and I would start to get a bit snappy, a bit insane as I started to feel the isolation. Then of course when I did make it out I’d be a bit socially excited and talk non-stop and flap and be absurdly happy. Now that I’m back at work, ironically I long for an occasional week at home, a week where I don’t go anywhere or do anything. I know in myself I couldn’t do it full-time all the time, that I thrive too much on the company of others to not work and get out an about. What I miss though when I’m in town and working is the peace, the fact that I walk outside and the birds are soaring in the sky, the chooks are clucking away and the occasional train goes past, but other than that it’s peaceful, like Michael Caton said in The Castle – ‘How’s the serenity’, that’s what I miss about home when I’m at work. I am now working 3 days a week, and I must admit am struggling to adjust to adding a third day, I know it will come in time, but for now, until I hit my stride it’s a struggle. Remembering what happens on each day, trying to make sure I’ve made enough lunches in the morning for everyone and trying to let go of that mother guilt as I walk out the door for work is hard. I’m thinking about some kind of schedule or calendar, but haven’t found one that I really love yet, so I’m thinking I’m going to be making my own, any suggestions welcome! 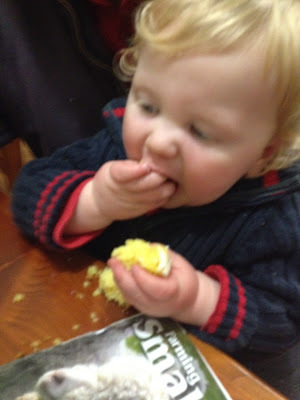 Until that’s finished though my brain is on a bit of overload and the mother guilt is running high. It does however make me cherish those days at home, to spend a little bit of one on one time with the kids and soak up everything I’ve missed on my work days and enjoy the serenity. 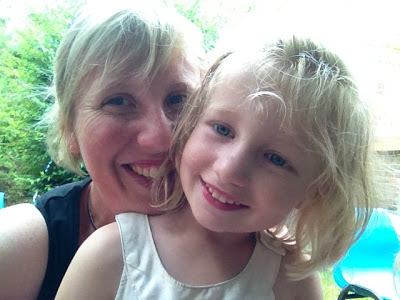 This entry was posted in Mother Guilt, Working Life on March 4, 2013 by nat. I love the excitement of a first day, all that nervous anticipation, the barely contained nervous laugh as they try to contain both their anxiety and their excitement. 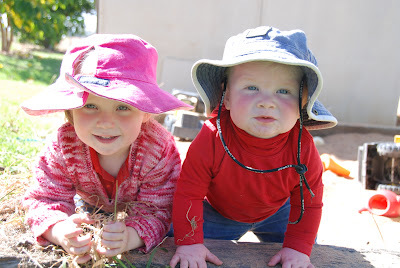 We had three kids start school and preschool this week, and I am breathing a sigh of relief as we slowly return back to the normality of a routine (almost). 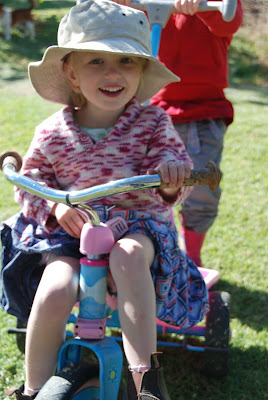 Amongst the return to normality was my Muddy Puzzler’s first day at preschool. 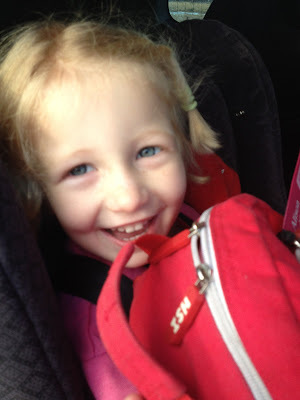 We were dressed and organised early, I was going to take her in, but we pulled up at the bus stop for my Muddy Organiser and out she jumped backpack on ‘I’m catching the bus Mum’. Now of course I was incredibly apprehensive about this, incredibly. 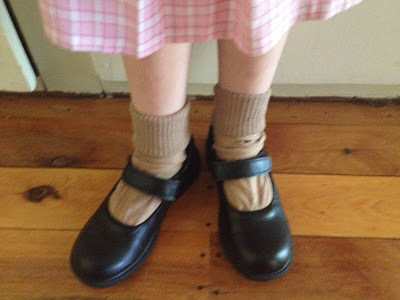 I talked her through it all, changing buses and where the bus would stop before it got to preschool, including the fact that once they stopped at my Muddy Organiser’s school, that she would be on the bus on her own and the bus driver would drive her straight to preschool where I would be waiting. 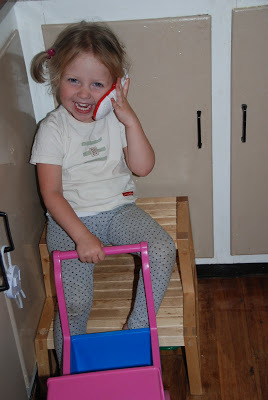 ‘Yes Mum I’m going on the bus’ was her constant reply. On she jumped, not a problem in the world, happy as Larry until of course every other passenger got off the school bus, then the tears started and did not stop til she got off the bus at preschool where I was waiting. So this week I am very grateful to the lovely bus drivers that drive my kids to school and safely home. To the bus driver who calmly talked to my Muddy Puzzler while she cried her little heart out. I am so very grateful that he has decided to change his bus route just for her and drop her off first before he does the other school drop offs so she won’t cry again on him! Yes he is that lovely and I am so very appreciative of his kindness and care for my kids. And rest assured my Muddy Puzzler was quickly calmed down and off to do craft within minutes of arriving at preschool, confidently telling the staff that she’ll be catching the bus home! What are you grateful for this week? 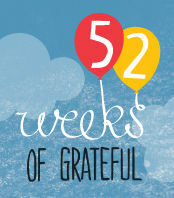 Make sure you check out 52 Weeks of Grateful over at Village Voices where Maxabella hosts a lovely link up each week. 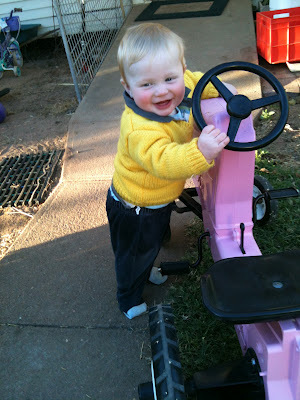 This entry was posted in 52 Weeks of Grateful, Mother Guilt, Muddy Puzzler, Photos on February 1, 2013 by nat. The Muddy Kids and I spend A LOT of time in the car going here, there and everywhere and most often it’s the place where we listen to music the most, getting our groove on as we cruise along. What I’ve realised lately though is that while we get pretty inventive with our dancing and facial expressions, it’s all above the hips. 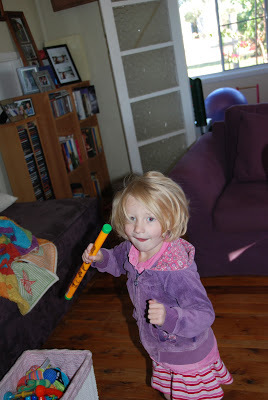 When it comes to using our legs and feet to dance around the house to music, their movement is a bit limited. We’ve never really practiced our dancing outside of the car. 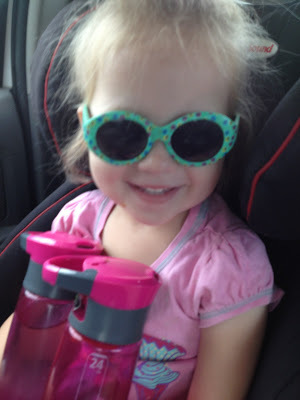 It’s all been constrained in car seats, with head, arm and shoulder movement. So this week with school holidays we’ve been burning off some energy playing musical statues, and all the effort goes into the face, arms and shoulders, they’re a little lost to even keep time with their feet! I think I’ve already given them a dancing handicap, or maybe they’ve just genetically inherited it from Muddy Hubby? 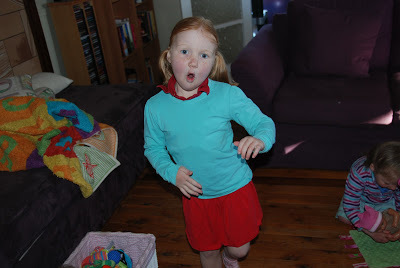 Do your kids get their groove on with the whole body, or do they limit it to above the hips like mine? 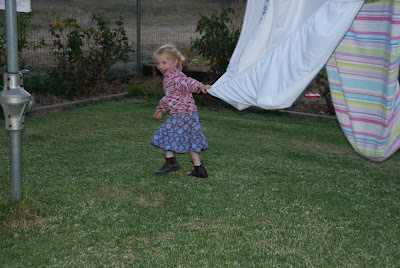 This entry was posted in Family, Kids Play, Mother Guilt, Photos on September 26, 2012 by nat. Muddy Bubby turned One this week and to be honest it was a little subdued, I didn’t make him a cake, we used the leftovers from a cake I had for a meeting (he still hooked into it and there wasn’t much left). 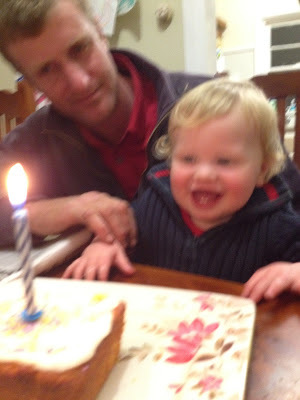 I had a mild panic attack on Wednesday when I realised I had no presents for him. Then I stopped and breathed and had a light bulb moment ‘I bought his presents months ago and hid them’ HOORAY! He had a lovely Tonka Bulldozer to unwrap and a beautiful book and Care Flight Bear, all sorted. So this week I am grateful for organisation and forward planning. 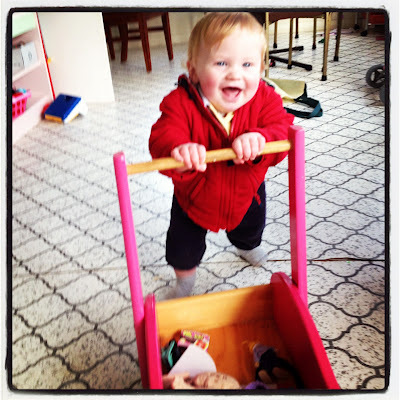 Without Organisation and Forward Planning things would be a lot worse in our household! My house may be a shambles, my floors may not be clean and the toy room looks like a bomb’s gone off, but I can still be organised. I make lists and try to stick to them, and I am always packing and repacking days before we go anywhere, which drives Muddy Hubby insane, but keeps my sanity intact. It’s the little organisation beforehand that helps reduce my stress levels when we go anywhere which makes for a happier Muddy Family. 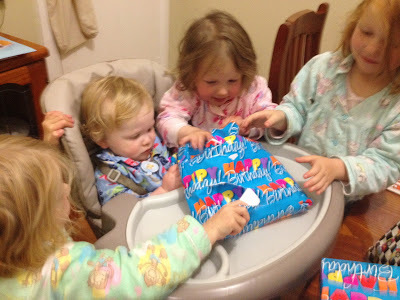 It also means my Muddy Bubby actually had a present to unwrap on his birthday. 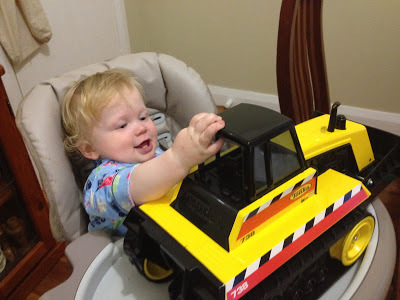 I still plan on making him a cake of his own, with a family lunch this weekend, to appease for my mother guilt in almost letting his birthday slip by unnoticed, but for now he is a very happy One Year Old pushing his Bulldozer around. 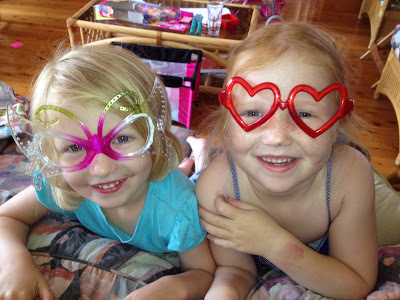 Linking up with Maxabella for 52 Weeks of Grateful at Village Voices. Please take some time out to check out the lovely Grateful posts, they will put a smile on your face and warm your heart. 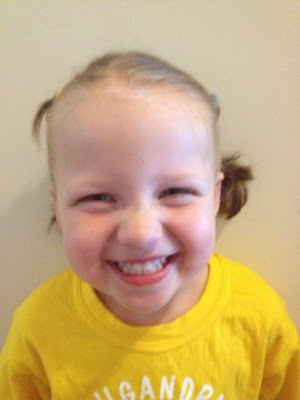 This entry was posted in 52 Weeks of Grateful, Mother Guilt, Muddy Bubby, Photos on August 23, 2012 by nat. Time and Time again I am reminded that time passes quickly and before you know it your kids are growing up and doing things you thought were so far away. 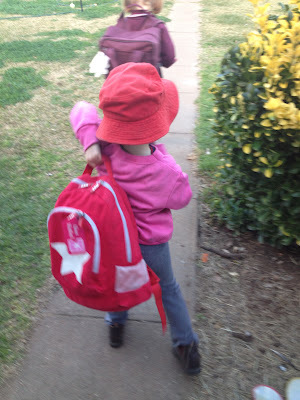 This morning my Muddy Pixie took the big step of catching the bus to Preschool. We have been talking about the possibility for a while and each time she’s seem pretty keen, so with the start of a new term we decided to give it a go. 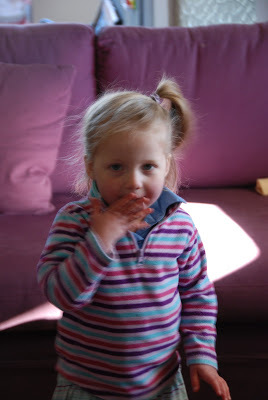 The Muddy Pixie was practically giddy with excitement, she bolted out the door this morning (unheard of for her who is always the straggler) back pack and all, bounced out of the car when we got to the bus stop and then held tightly onto my hand while we waited for the bus to arrive. 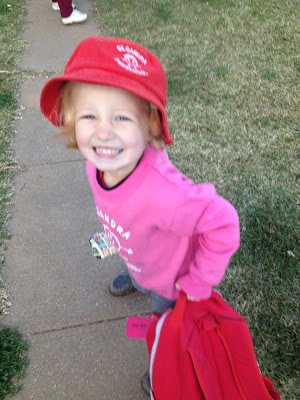 Then the time came and up she went onto the bus and off to preschool. Simple as that. 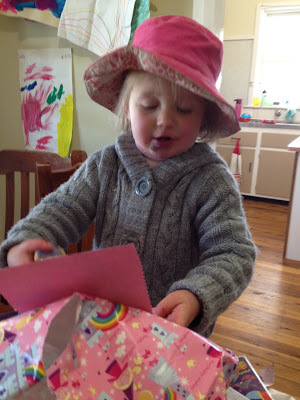 I have been an anxious Mum and rang preschool to check she arrived safe and sound (she did), I was reassured that all the staff did the big ‘Oh wow you caught the bus, how exciting, what a big girl thing to do’ with lots of positive praise and high-fives (again I am so lucky to have such a great preschool and staff). So from now on this will be how it is, two big girls catching the bus to school and preschool and home again, ‘except on special ocassions’ as my Muddy Organiser says. 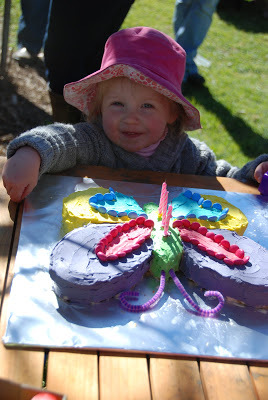 This entry was posted in Family, Mother Angst, Mother Guilt, Muddy Pixie on July 26, 2012 by nat. Today marks 3 weeks until I return to the work force! I’m in two minds as to whether I want to cry or whether I want to cheer that I will be getting to have some time that reminds me that I’m not only a Mum 2 days a week, that there are other aspects to me. Please don’t get me wrong I love being at home with my kids but for me returning to work is what I need to bring balance back into my world. A couple of months ago I knew I was ready to go back, Muddy Hubby came home one day and I was in tears, I had made a big effort to do nothing house related all day, to just play with my kids, the first half of the day was great, by the end I’d had enough. I cried to Muddy Hubby ‘I don’t actually enjoy playing with my kids ALL day’ and I was so upset because I know how many women out there would give their right arm to be able to sit at home and play with their kids all day and I felt guilty that I wasn’t one of them. I have said it before and I will say it again, I take my hat off to full time stay at home Mums, I think they are a very special breed, with patience and tolerance in abundance, which I do not have.These 12 months have been perfect, I got the last few months at home full time before my Muddy Organiser started school, I got to be there each day for bus drop offs and pick ups for the first 2 terms, I even squeezed in Canteen Duty a few times and have enjoyed being at home full time. 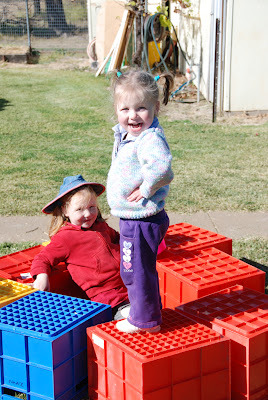 I am making sure I am soaking up the last weeks, making sure I spend time with each of the kids, getting them ready too. I think it will be a bumpy road ahead til we get into a groove! 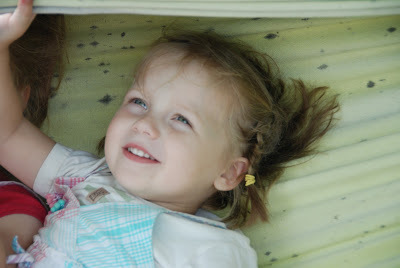 This entry was posted in Mother Angst, Mother Guilt, Working Life on July 18, 2012 by nat. I will be the first one to tell you I haven’t been coping some days while Muddy Hubby has been away up north. The Muddy Kis have been largely good, but it’s the whiney voices when they’re tired and the bickering between them that I really struggle with. We have been spending most of our days outside, drinking in the autumn sunshine and warmth, rather than be inside in the cold house going stir crazy. While it has been so lovely to enjoy the outside time and some old favourites of bikes, the sandpit and my washing, it has not staved off ‘happy hour’ come dinner and bed time. No matter how I work my day it still ends in fights and tears. We are at the point where the Muddy Kids are all in bed by 6-6:30pm as by then we’ve all had enough of each other and they’ll be up in 12 hours to start it all over again. I have moved everything forward, the animals are done either before I pick the Muddy Organiser up from the bus or as soon as we get back. 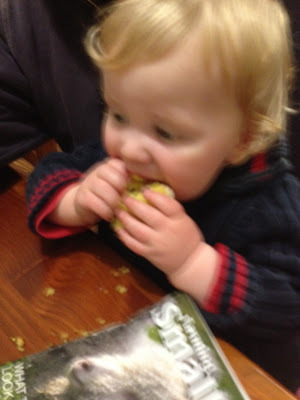 We have swapped dinner and bath time around to see if that makes a difference – it hasn’t. Day sleeps make no impact, it’s still a battle, I still end up doing my ‘block’ at least once before they fall into blissful slumber. I am hoping things settle down a little when Muddy Hubby returns, as I really hate doing my block before bedtime, I feel bad all night and don’t sleep well at all. The benefit of such an early bed time though is that I have time to run around and get my jobs done before ‘The Block’ starts. I have become a little addicted I must admit, surprising as I was a little put off the last two seasons, but there’s something about this season that has drawn me in, Muddy Hubby too, he’s been asking for updates via phone as he sits on the tractor at night! Today we have again spent the morning outside and tomorrow will bring some Day Care respite and funnily enough I’ll be eagerly waiting to pick them all up and bring them home right on ‘Happy Hour’. How do you manage ‘Happy Hour’ at your place, I’m in need of some ideas and inspiration! Are you addicted to ‘The Block’ too? 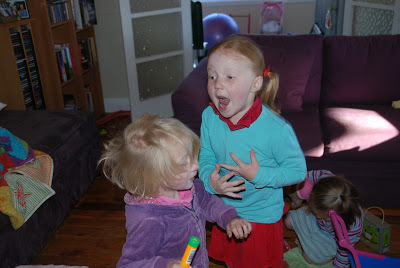 This entry was posted in Kids Play, Mother Angst, Mother Guilt, Photos on May 22, 2012 by nat.